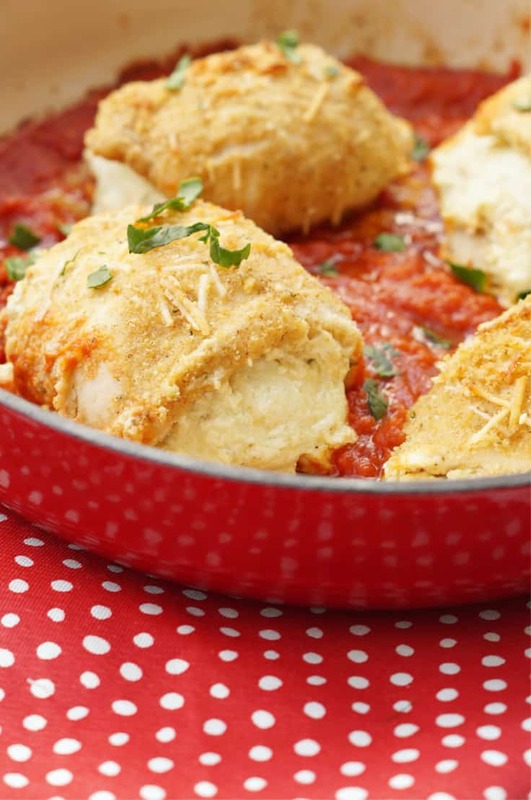 These easy Lasagna Stuffed Chicken Breasts are a delicious dinner that your family will love! 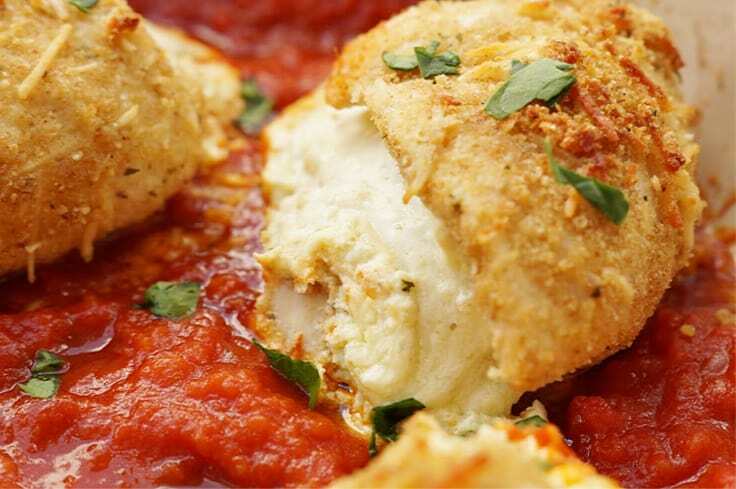 Breaded chicken is stuffed with four types of cheese, then baked until warm and gooey! Hello everyone! I am Amanda from Old House to New Home, and I am so excited to be joining the team here! 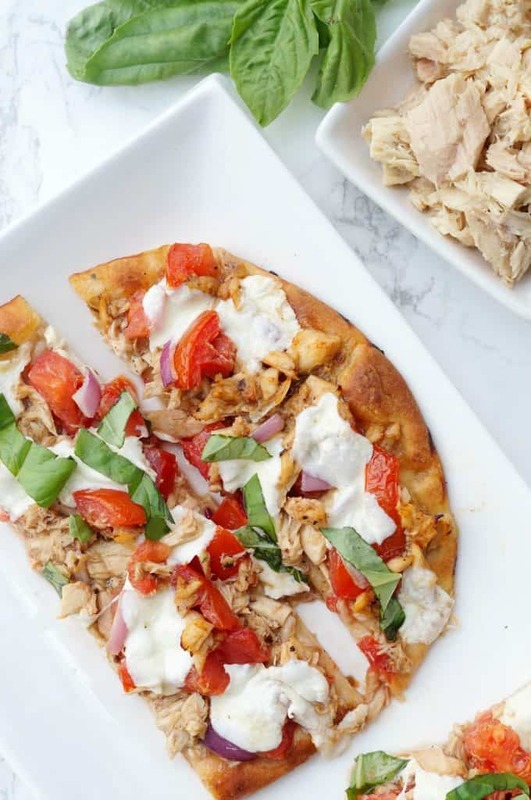 I will be sharing some of my favorite, easy family friendly recipes over the new few months, and I hope you love these recipes as much as we do! With comfort food season right around the corner, I wanted to share a delicious Lasagna Stuffed Chicken Breast recipe that is so easy, but so delicious as well! 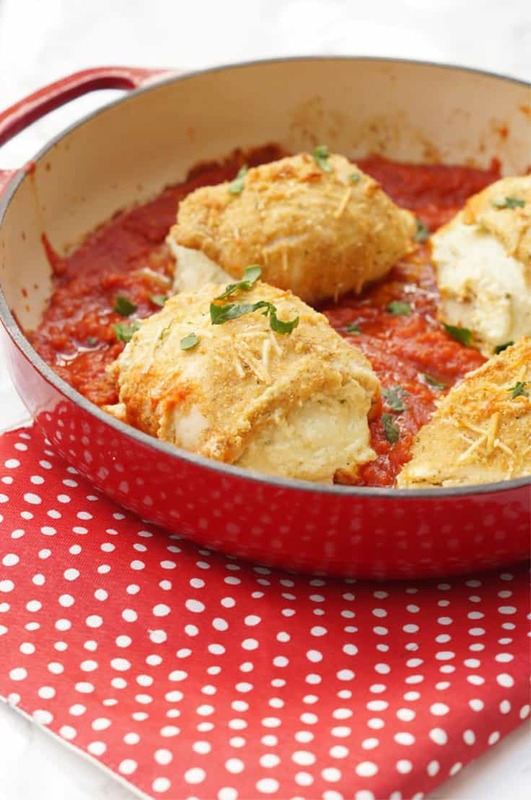 These chicken breasts are stuffed with a cheesy lasagna mixture, and then baked in marinara sauce! 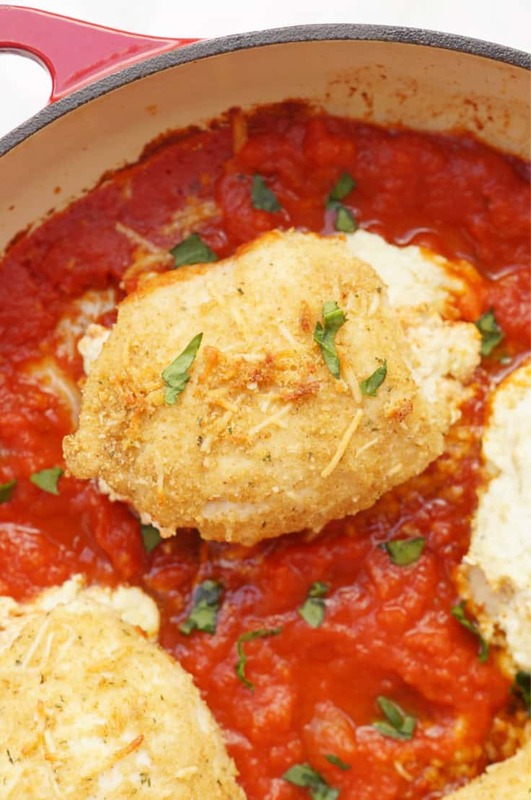 It is like chicken parmesan and lasagna had a baby! I am a sucker for Italian food but can never decide between lasagna or chicken parmesan at restaurants. They are both just so cheesy and good and its too hard a choice! 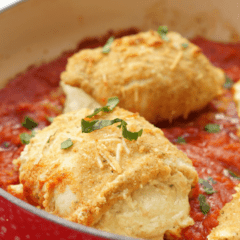 With this Lasagna Stuffed Chicken Breast, you don’t have to choose between the two! I love serving these chicken breasts with pasta or they are filling enough that you could even eat them alone with a big salad. Holiday entertaining is also around the corner, and this easy chicken dinner looks fancy enough that you could definitely serve it at a dinner party! Stuffed chicken always looks impressive and no one will ever know that it took you only minutes to prepare these! If I have any pesto in my fridge, I like to throw a tablespoon into the filling, but it’s definitely optional! 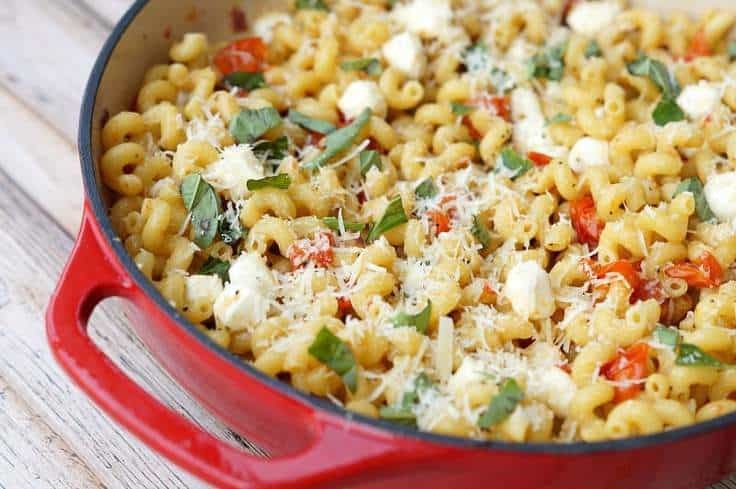 Fresh basil works well too and adds a bright flavor to the filling! If you are short on time, use your favorite store bought marinara, or if you have half an hour, you can make my favorite easy marinara sauce! These easy, cheesy stuffed chicken breasts are so good, and so easy! You will love the flavors of this chicken and I hope you make them again and again! I really recommend baking this in a cast iron enamel pan! You can take it straight from oven to table then and it looks beautiful! Plus, one less dish to wash! This delicious Lasagna Stuffed Chicken Recipe will become a go to chicken dinner that your family asks for time and time again! Preheat oven to 375 degrees. Pour sauce into the bottom of an oven proof skillet or casserole dish. Set up a chicken dredging station, with one shallow bowl of egg and one of the parmesan cheese and breadcrumbs. Dredge chicken through egg, shaking off excess, then through the breadcrumb mixture, making sure to coat both sides equally. Set chicken aside. 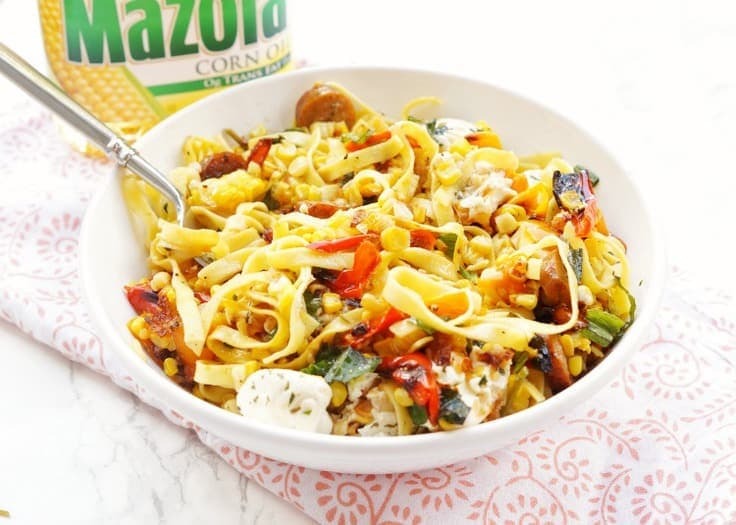 Mix together lasagna filling ingredients in a small mixing bowl. Split filling evenly between the four chicken pieces. Place filling in the center of each chicken breast. Roll chicken over, tucking in one end under the other. Place seam side down in the sauce. Bake for 30-35 minutes, or until chicken is cooked through. If cheese runs out, push back in before it cools. It will set up as it cools. Let sit 5-10 minutes to allow ricotta mixture to set up. Looking for More Easy Italian Inspired Recipes? 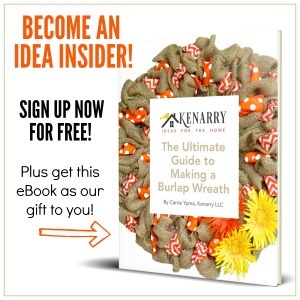 Amanda has been part of the Creative Team on Ideas for the Home by Kenarry™ since October 2018. Follow Amanda on Facebook, Pinterest, Instagram and Twitter.